This classic management book starts off with two confusing and underwhelming chapters, but ends up being one of the best three management books I have ever read. And I would highly recommend it to any manager. If you run into a book recommendation thread on Hacker News or somewhere else involving tech savvy people, chances are, High Output Management will be mentioned. Published in 1983, updated in 1995 and revived in 2015 with high prise from Ben Horowitz, this book seems to have an enduring allure and impact on tech managers and the tech industry in general. 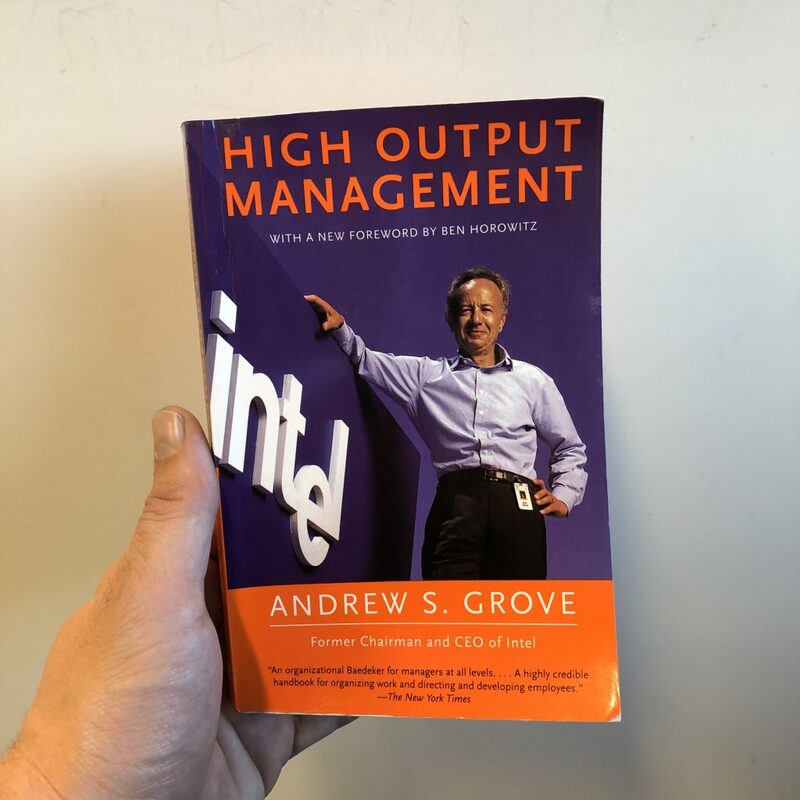 The 47 year old, down to earth, polymath Andy Grove was already an experienced and successful leader at Intel when he wrote this book. But nobody, probably not even Andy, could have predicted what was yet to come for Intel. Namely the explosion of personal computing and the internet, catapulting Intel into becoming one of the most valuable technology companies in the world. And consequently confirming Andy’s written down theories and practices. This would explain part of the lasting appeal to tech people. But most of the appeal is in the words itself. Andy has a very direct and practical approach to dissecting hard managerial themes and is crystal clear on what is important and where (and what) the leverage is. Many, many management books have been written since, and even when I think there is room for editing in this book, I still have never read a comparable comprehensive collection of valuable management lessons in such a clear and concise manner.